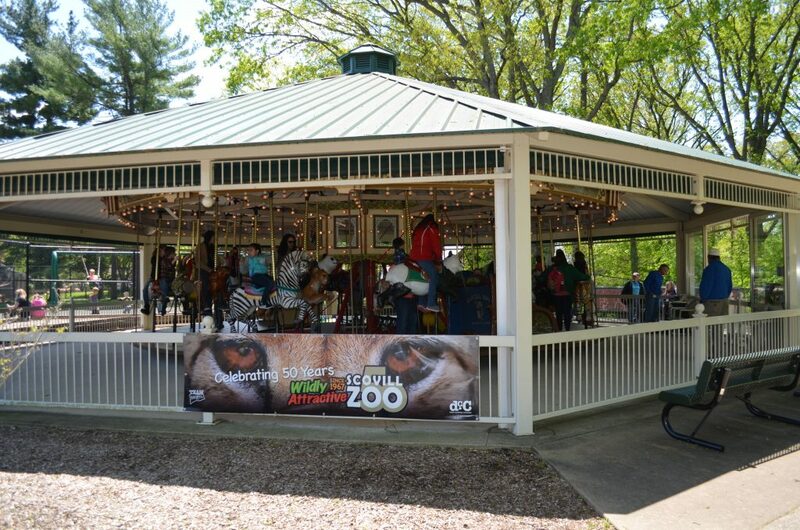 Take a spin on Scovill Zoo’s beautiful, ADA accessible Endangered Species Carousel, featuring 30 hand-carved wooden animals representing protected and endangered species from across the globe. Two chariots on the carousel accommodate wheelchairs. Children under 42 inches tall must be accompanied by an adult. You can contribute to this educational experience! Adopt an Animal! For details, please call Kathy Winter at 217/421-7435. 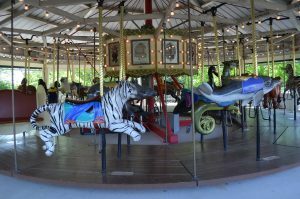 Hours: The carousel is open during regular zoo hours and special event times. Families with zoo memberships are invited to purchase a Members Rides Pass! Those who visit frequently will find unlimited train and carousel rides a real convenience. For just $110, members can ride the train and carousel as many times as they wish, all season long. Use the stirrups for help getting on the animal. Don’t stand or put your feet on any part of the animal. Hold onto the brass pole. Don’t hold onto or hang your belongings on the animal’s ears, tails, or horns. Keep your legs and arms inside the carousel. Don’t throw or drop an object from or toward the carousel. Remain seated (or standing in one place, for accompanying adults) once the carousel is in motion. Dismount only after the carousel comes to a complete stop and the operator says it is safe to move.